Karen Swan began her career in fashion journalism before giving it all up to raise her three children and an ADHD puppy, and to pursue her ambition of becoming a writer. She lives in the forest in Sussex, writing her books in a treehouse overlooking the Downs. (Check out her website for a photo of her awesome treehouse!) Her first novel, Players, was published in 2010, followed by Prima Donna and Christmas at Tiffany's in 2011. I’ve got a bit of a crazy board going on Pinterest. 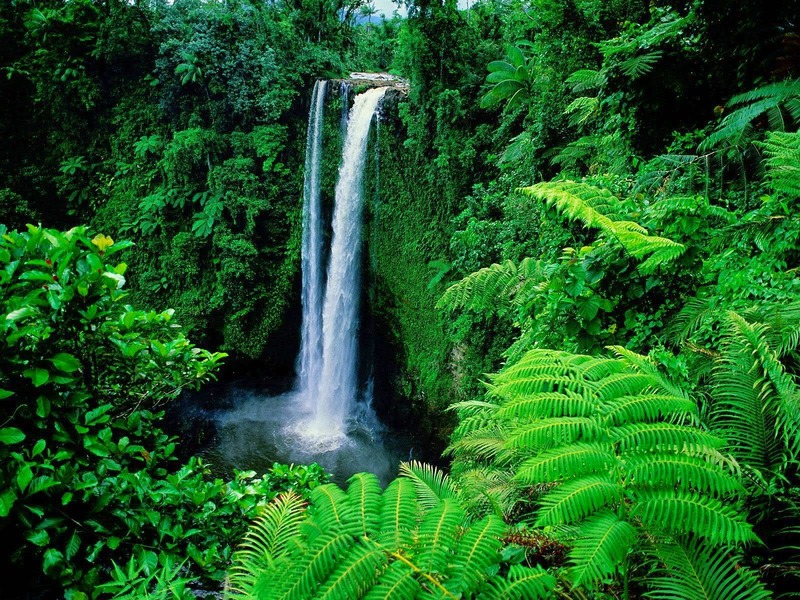 It started out as a general pinning of lovely places I’d like to visit with my husband and children, but it has since - without consciously meaning to - become a scrapbook of waterfalls and now I’m entertaining fantasies of us travelling the world and tracking them down. Most, of course, are in tropical locations in South America or the Caribbean or Indonesia, so this only heightens my enthusiasm for it all. In my head we’d trek through the jungle with fabulous lunches packed in our rucksacks and then swim and dive in the pools below. There’s no possible way we’d ever be able to do it, we have crazy and conflicting schedules in our household, but it’s a real bucket list wish. I’ve always had a fascination with waterfalls, I think prompted by a childhood of reading Enid Blyton books in which there were always hidden caves and treasure behind them. There are some really spectacular falls in Scotland, where I spent my holidays growing up, and I’m always looking for a ledge, just peeking out at the corners… They represent a wildness and natural beauty that we’re losing in so many other ways in Nature. One of the best days of my life was spent swimming in some pink granite rock pools in the Scottish Highlands when I was fourteen. My brother and sister and I gave names to each of the pools –one was the diving pool, one was the Jacuzzi, one was the canal because it was so deep and narrow…I have never in my life swum in such cold water – and I’ve swum in the Atlantic in May! – but my parents couldn’t keep me out of there; A waterfall splashing down above us would have made it a slice of heaven. The reality of planning such a trip might be a pipe dream, but that Pinterest board isn’t one I’m going to delete. What dreams would you pin to your Pinterest board? 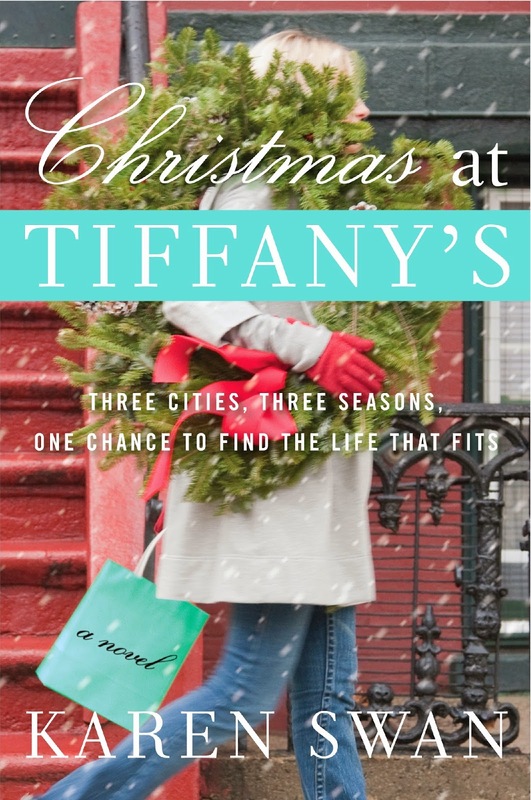 In the wake of a heartbreaking betrayal, a young woman leaves the Scottish countryside to find her destiny in three of the most exciting cities in the world—New York, Paris, and London—in this funny and triumphant tale of fulfillment, friendship, and love. Ten years ago, a young and naïve Cassie married her first serious boyfriend, believing he would be with her forever. Now, her marriage is in tatters and Cassie has no career or home of her own. Though she feels betrayed and confused, Cassie isn’t giving up. She’s going to take control of her life. But first she has to find out where she belongs . . . and who she wants to be. Over the course of one year, Cassie leaves her sheltered life in rural Scotland to stay with her best friends living in the most glamorous cities in the world: New York, Paris, and London. Exchanging comfort food and mousy hair for a low-carb diet and a gorgeous new look, Cassie tries each city on for size as she searches for the life she’s meant to have . . . and the man she’s meant to love. I have it waiting for me too, Hellion. It sounds like a book I'm going to enjoy. I love the idea of Pinterest, but I can't seem to find the time to actually pin. If I could, I'd probably pin my dream vacation of at least a month in Greece. I'm the same way, Janga. I had a Pinterest account back when it was new but I ended up canceling it because I just didn't have the time to devote to it. I love my Pinterest account. I live pinning wedding dresses I think will look good on my many nieces. This book looks great! I would love to travel to all of those places! I live on LI, a train ride away from NYC, but I haven't been there for years! My daughter & husband went hiking upstate, where there was supposed to be a beautiful waterfall, but it was the wrong time of year & it was just a trickle! We have gotten a lot of laughs over that one! Sounds good. Dreams can turn into nightmares, then what do you have? Watching someone recover from betrayal and search for who she is and wants to become is most rewarding.